Imagine never getting another ingrown hair again. Imagine never having to shave again. Now open your eyes, it can happen at Ellan Laser MedSpa! Laser Hair Removal is a safe, gentle (non-invasive), fast and effective way to permanently remove unwanted hair for women and men on any part of the body*. Ellan Laser MedSpa makes your comfort our priority. We have invested in the latest, most advanced laser technology. This state of the art laser technology is safe for light and dark skins. Laser technology works by emitting a light energy that converts into heat and selectively heats the hair follicle. The level of light energy used is not strong enough to effect anything but the hair follicle, leaving the surrounding areas untouched and unharmed. You will feel not much more than a heated sensation from the light energy. For your ultimate comfort, our Nd:YAG laser has a dynamic cooling device which uses Cryogen to cool the treatment area optimally before and after every laser shot. That means a minimum amount of discomfort and no messy gels or creams that have to be applied before the procedure. 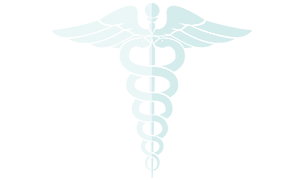 Will Laser Hair Removal Work for You? Because of advancements in laser technology, they can now work on most skin and hair types. However, as the laser requires melanin (the color in the hair) to aim at, it has limitations. It is not as effective on gray, white or naturally blond hairs (little or no melanin in these hairs). Regardless of your skin type or hair type, Ellan Laser MedSpa can tell you if laser hair removal is right for you*. Contact us today for your free consultation! The active growth (or the anagen) phase is the phase the majority of your hair is in. This phase usually lasts several years. The regressive (or catagen) phase is the phase where the hair is no longer growing but has not yet shed. 3-4% of you hair is in this phase and it usually lasts, on average, two weeks. 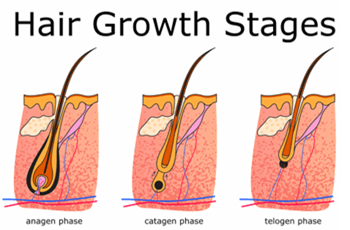 The resting (or telogen) phase is the phase where the hair actually sheds and a new hair begins to grow. 10-13% of your hair is in this phase and it usually lasts 5-6 weeks. The laser works best on actively growing hairs (anagen phase). Since not every hair in any one area is in the active growth (anagen) phase, you will need multiple treatments to effectively treat any given area.